← A simple formula for determining Mormon doctrine? During the Republican “Fox Forum,” news correspondent Chris Wallace pressed candidate Mitt Romney about his “attack ads” against John McCain and Mike Huckabee. Romney responded to this line of questioning with an answer I’ve heard him give before. Essentially he said his ads were not an attack, but merely a “comparison.” I happen to agree. I have no problem when politicians run ads that recount an opponent’s record; so for me, “comparison” ads are absolutely fair and I think necessary, because they tend to remind voters of things they may have overlooked or did not know. But here’s where many Mormons fall prey to the logical fallacy of equivocation. When Christians write articles that “compare” the teachings of Mormonism to that of Christianity, the Mormons rarely see them for what they are – a comparison. Mormons are often quick to accuse those who are critical of Mormonism as attacking their faith. Well, I’m glad to hear Mitt set the record straight. 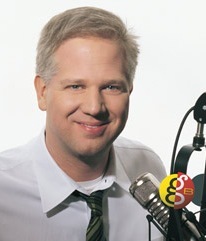 This may also come as shocker to some, but I like listening to Mormon radio talk-show host Glenn Beck. I find him to be very entertaining, and though I don’t agree with everything he says, I have often found myself laughing out loud at some of his pithy comments. However, Beck committed a horrible logical fallacy on January 8th when he used the word bigotry to describe voters who say they would never vote for a Mormon. He “compared” this to those who claim they would never vote for a black man. As a talk-show host Beck challenges truth claims on a daily basis, and I support him for it. However, when it comes to religious ideology, he expects us to set aside this standard when a Mormon candidate is involved. It isn’t that Beck does not understand the power of religious persuasion. In November of 2006 he demonstrated this all too well when he interviewed Muslim Congressman Keith Ellison (D-MN). Said Beck, “Sir, prove to me that you are not working with our enemies.” He added: “I’m not accusing you of being an enemy, but that’s the way I feel, and I think a lot of Americans will feel that way.” Would Beck have been inclined to ask this if Ellison did not have an Islamic worldview? I don’t fault Beck for asking these questions, nor do I consider him a bigot for daring to say what he said. Just the same, people who do not share a Mormon worldview should be free to express their disagreement without fear of being given a negative label. This entry was posted in Mitt Romney and tagged Glenn Beck, Mitt Romney. Bookmark the permalink. Religious beliefs most definitely belong in the political realm and I think that Romney would agree with me. If we had someone running for President who held the the beliefs of Osama Bin Laden, should we not have the right to that information? I’m sure Romney would agree. Now in Mitt’s case, the guy hopes to become a God someday. The question we need to ask ourselves is this; Do we want him practicing with our country? In the context of religion, developing a testimony of Christ and HIS gospel can be a lifelong process and is quite simply acquired through humility and long-suffering- not debate and comparison. Everyone has a different path and God’s ways are mysterious. We have to have faith that simply because someone disagrees with fundamental doctrine that God hasn’t already set them on a path to someday accept Him. He knows His children- He has asked us to love them, not compare our beliefs with theirs till our throats are dry and the rooster crows. Speaking of the rooster crowing, I had a lengthy conversation this Christmas with an in-law who happens to be a devout Evangelical (not southern convention). We spent the greater portion of our discussion outlining our DIFFERENCES (comparisons). This approach led the discussion down a more contentious route. Both of us attempting to persuade the other. He made an extremely important point (and this point has been inadvertently pounded into my little argumentative spirit a thousand times before)- as things got just a little heated, we would do better for the gospel and for our points of view if we simply loved each other- and showed through our actions what we value. My brother is engaged to a protestant girl. She is so wonderful and loves my brother. I know God is answering our prayers to bring my brother closer to Christ as he hasn’t been interested in anything “god” for a few years. I have confidence that through God’s mysterious ways, he is working a miracle. Long-suffering and humility should abide the day, not comparisons and “differences”. Amanda, what would “loving each other” look like according to your definition? Are you implying that your in-law doesn’t love you because he verbally disagreed with you? I don’t know what you are getting at with “loving each other”…but I’ll take a guess that perhaps you are leading to missionary work…if we love each other, we share the gospel of Jesus Christ. And this is true. There is a stark difference though between sharing the gospel of Jesus Christ and trying to force it down people’s throats in our tones of voice, lack of respect, even legislation (as we learned quite recently, through Huckabee’s interest in converting the constitution into the bible). You can’t force it without being a hypocrite with the very message you hope to foster in their hearts. Our Heavenly Father (as was properly taught by Joseph Smith) teaches correct principles, and allows us to govern ourselves. I think this converts quite practically into missionary work. You teach them, and let them chose for themselves. A stronger teacher is someone who sets an example, fortifies, strengthens, and loves his pupils–not a teacher who denegrates, force-feeds, and gossips about their students. Both LDS and Evangelical’s are guilty of the latter– and many, thankfully, emulate the first. So what would “loving each other” look like according to MY definition? I believe my whole point was to avoid what MY definition, YOUR definition and anyone else’s definition is…but consult our Heavenly Father throughout our daily living what His definition is for the day in how we treat those about us. We should trust His judgment more than our own. Easier said than done, and quite often I consult my own pride more than I do the Holy Ghost.